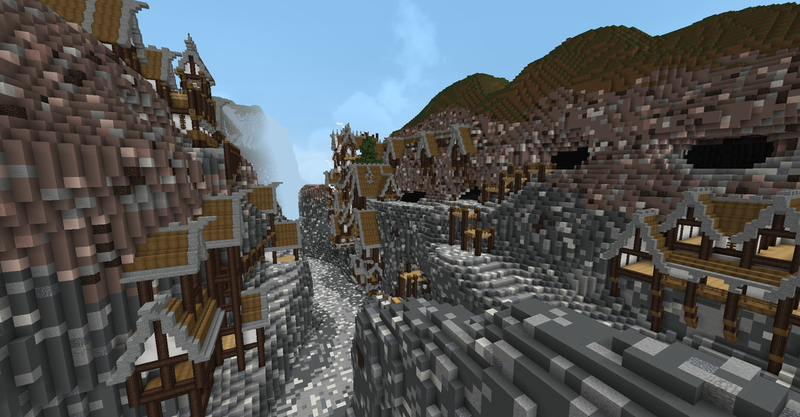 Here is some of my work from my very beginning in Minecraft up until the present. This is updated with every project I complete or wish to show. 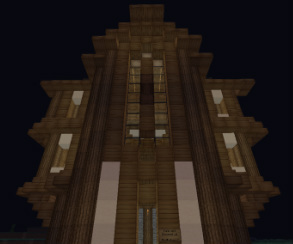 This is a house that i made a player on a minecraft server. It was built over the short span of three days. The design of the house was made as I went, which is my usual building technique. It includes an office, kitchen, living area, dinning room, loft areas, library, master bedroom, plantings and furnishings. This player was very happy with the end result. 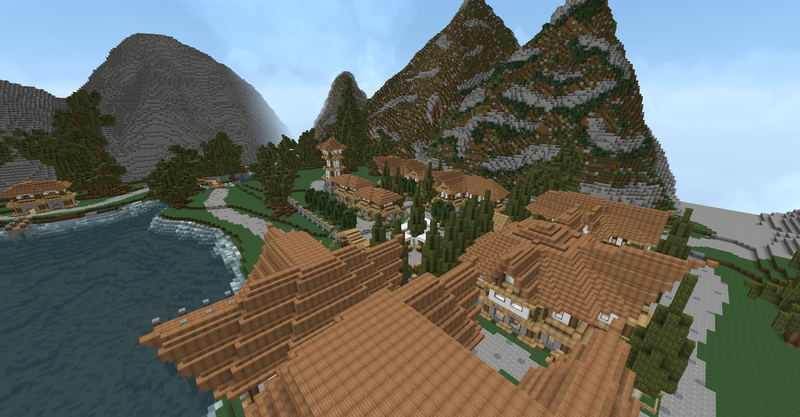 This is a hotel that I built on a server for one of my close friends. 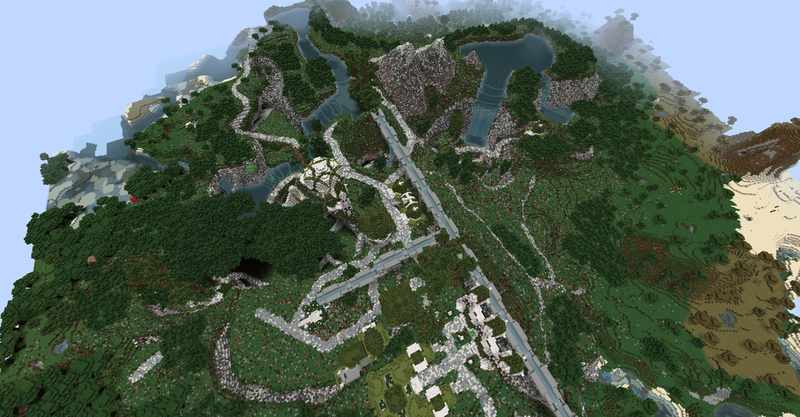 As you can see its all modern, includes plenty of water and plant features, and is huge! Holding 140 livable rooms and 50 meeting rooms and activity rooms, its one of the larges projects I've done. 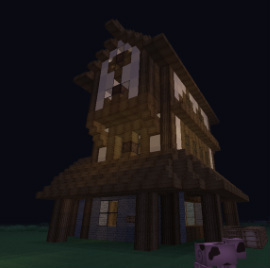 This is a house that i made for myself on a server that i frequently play on. The design is very modern, using only mostly white wool and brown wood. This house's greatest feature is its unique roof and amazing landscaping. The greatest room is the library, holding two floors, water and light features in the wall which can be seen from outside, and secret passages made of redstone. This house has three floors, the top used for the master bedroom and an architecture studio, the first being used for eating and living spaces with the guest bedroom, and the basement used for entertainment. 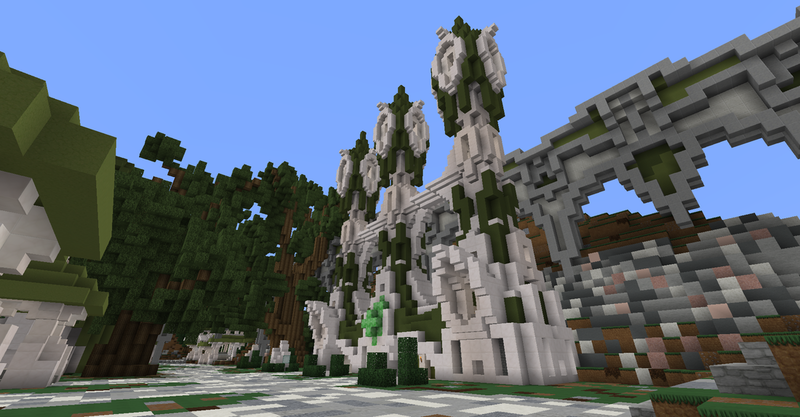 Someone wanted a nice, public, open space for their spawn, with the market incorporated. The plant features combine with the water and cool colors of the path really work together to make it peaceful. 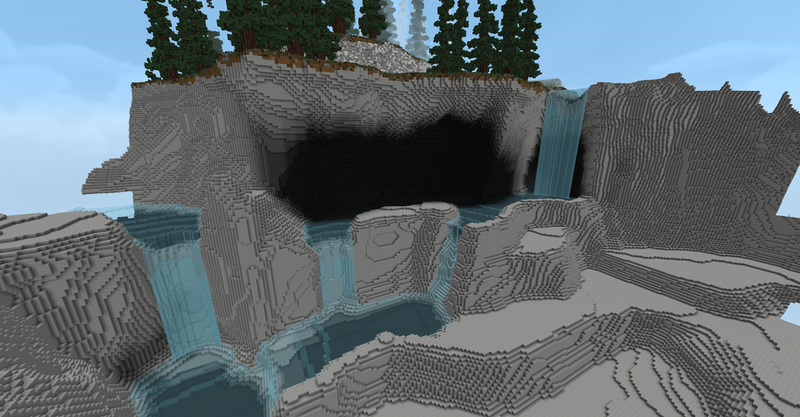 Again, the style of this spawn is modern, using only wool and stone. The surrounding buildings show case the fountains on either side and the warp station in the center. At night, the light features really take effect. The trees glow as well as the bushes along side the fountains and buildings. 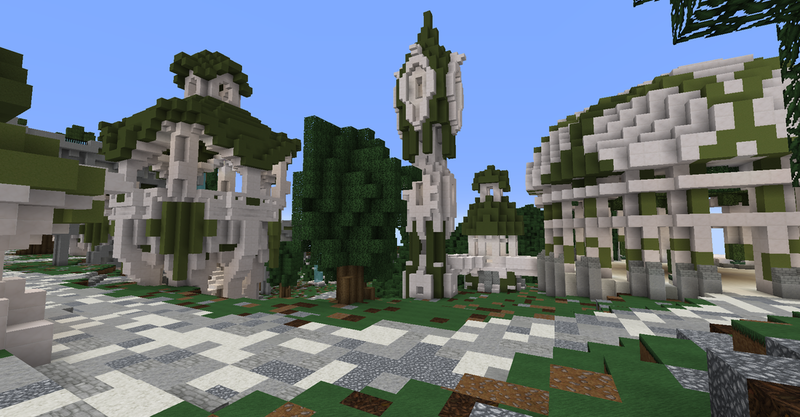 The building you see here was created without any planning, from pure imagination, and is going to be used as my own server spawn. On the outside it may appear to be a temple of some sort, but on the inside, everything is modern. It takes a slight feel like a casino with all the bright colors and lights. At night, the windows are glowing as well as the ring around the top which is full of lights. 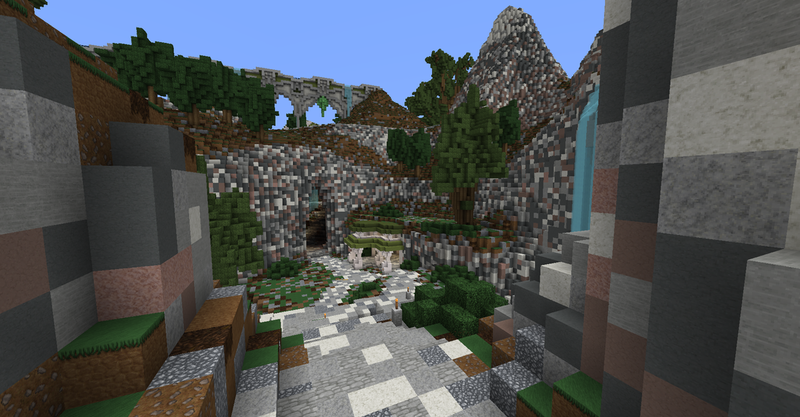 The pale color of the sandstone and quartz really make it stand out among its surrounding buildings. A lovely modern home set into the forest surrounded by birch trees. This home is two stories, the first holding a family room, foyer, and kitchen. The top holding only the master bedroom. The front and back yard both have brick paths around plant an water features. The trees and bushes all light up the surroundings as well as the windows of the house. A lovely, three floor, old fashion building, meant for a store one the bottom floor and a living space on the second and third floor. There is a stable and drinking area for horses behind the shop window and costumer entrance on the side of it. The stone bricks on the bottom floor really show the separation of spaces. It gives an industrial feel to the lower floor and the wood and sand on the top floor makes it seem more homey. This old fashion building is meant for a town or city center, with all three floors empty for stands and signs, with rules and information. the center window is located on the second and third floor, with a balcony around it. The open space and double staircases make this building perfect for a city center. 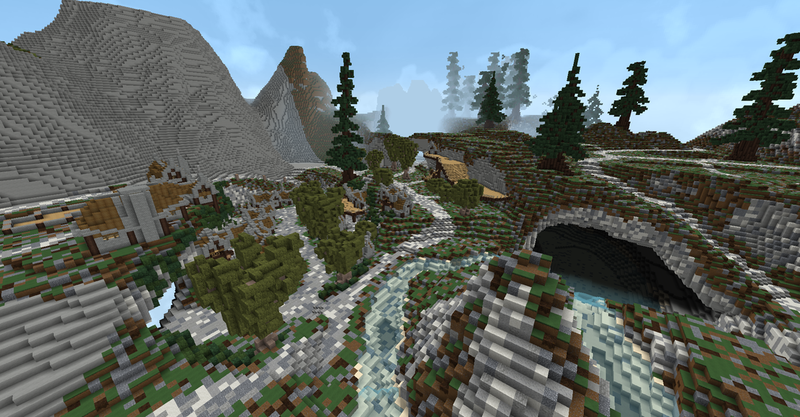 A mountain side, modern house, with staircases running all through the mountain. The three main rooms give plenty of room for a master bedroom, a great room, and a guest room. The kitchen and study are within the mountain hidden out of sight. The white wool really sets out the lights inside the rooms at night. A lovely two floor modern house with sloped roofs and clear story windows. The central staircase in the house is the focal point with a nice sugar cane feature around it and a water/light feature about it. With a kitchen, study, garage, and great room all on the first floor separated only by the staircase, it makes it very open, and the top floor only being separated by that catwalk. This house is a modern-ish cabin, with a first floor including a living room, study, and kitchen, and a second floor including a great room and a master bedroom. The first floor is full of light/plant/water features all intertwined. The second floor ceiling is lined with plant features surrounding chandeliers. The second floor also opens up to an outside deck overlooking the circular driveway with a side shed. This is a spawn with a central warp station, a market place, two separate buildings for server info and donation info, two PvP arenas, and a parkour arena in the back. The whole project was based off of nature and natural elements. The tall pillars with the green emerald wrapped around it is the market place featuring the plants and water coming from the pillars. 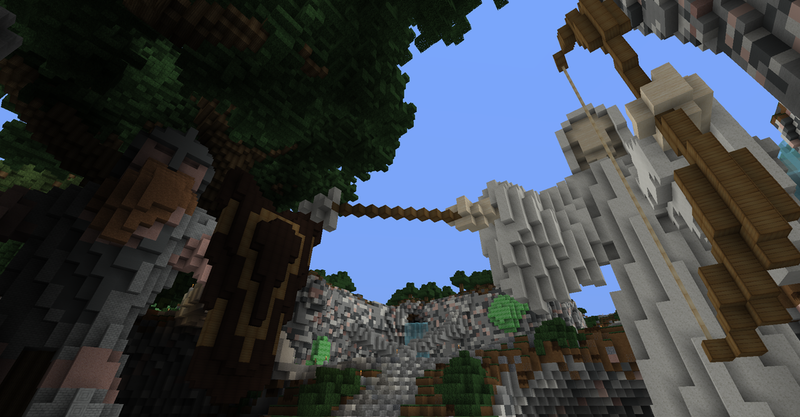 However, this spawn was never delivered, as the recipient refused to pay upon completion. This is a very nice house that I just built. I saw another house that was much smaller that had this concept to it and I wanted to be able to build that style as well, and I came up with this. It's a shed roof house with three rooms, a kitchen, a study/study and a bedroom. It also has a small guest house with a kitchen and bedroom. The back of the main house has a lovely outdoor, fenced in area with a table and grilling area and a pool off to the side seen from the kitchen window in the back. This is a sample I built of a kinda of medieval/steampunk house. It turned out mostly more modern medieval but I'm happy with the result. It's a two floor house with a very large basement and three outdoor porches, one of which is covered. 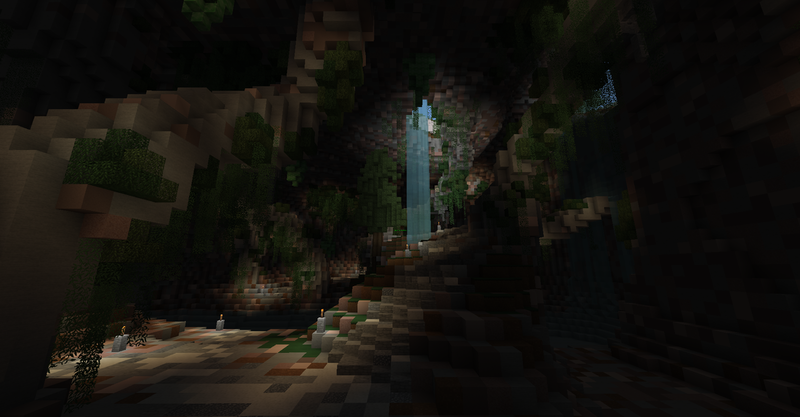 The following images are part of a large project currently in development. The server these builds are for will become an mmorpg quests server. 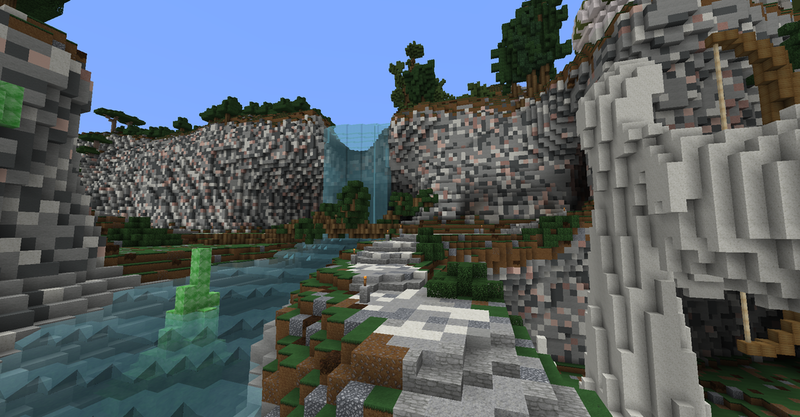 The next images are part of a spawn for a new server in development part of my community.